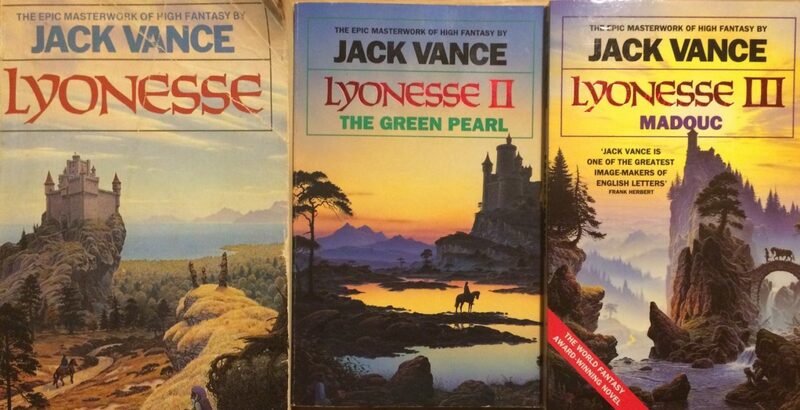 In this special holiday episode Dave, Tim and Ralph talk about Jack Vance’s exceptional fantasy trilogy Lyonesse. Great show, guys. I really enjoyed your thoughtful meanderings. Vance is a writer I’ve loved for years for all the reasons you discussed and it’s good to see him get some extra visibility! My first time with you, I look forwards to the next one. Excellent show, enjoyed it very much. I kind of wish you hadn’t given away quite so much of Suldrun’s Garden, but in case it put anyone off, I’ll just remind them that there are two more volumes, just as wonderful as the first. Re: spoilers — it’s a difficult balancing act. We need to talk enough about the book to get to the heart of the plots, genre tropes and issues, but at the same time I personally hate spoilers. 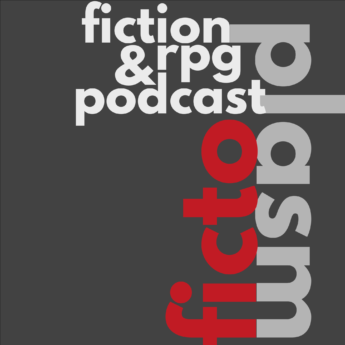 Yet at the end of the day this is a fiction and roleplaying podcast and while we always start with a specific work of fiction, we end with talking about what games that fiction can give us — and that means sometimes we’ll have to engage with material that would be something of a spoiler.